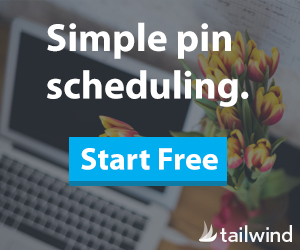 I’ve had my blog for five years now and I’ve been wanting someone to help me with blog tasks but specifically Pinterest since most of my traffic comes from there. I wish I could clone myself but I can’t! Since our first contact, Vanessa has been diligent with giving me quick updates about new goals or changes or how we’re winning at this Pinterest game. I basically can just forgot about pinning altogether and feel confident that Vanessa is taking care of my account with exactly the pins I like. She’s truly a godsend and now I can just focus on my blog content and writing my book.